Retro Fitness was looking to expand its franchise base through a direct mail campaign targeting prospective franchisees. With so many franchise opportunities available to investors, the Retro Fitness team needed to set themselves apart. They wanted an engaging high-impact sales kit that introduced the company, effectively presented its “investor-friendly” model as well as presented a substantial financial incentive. 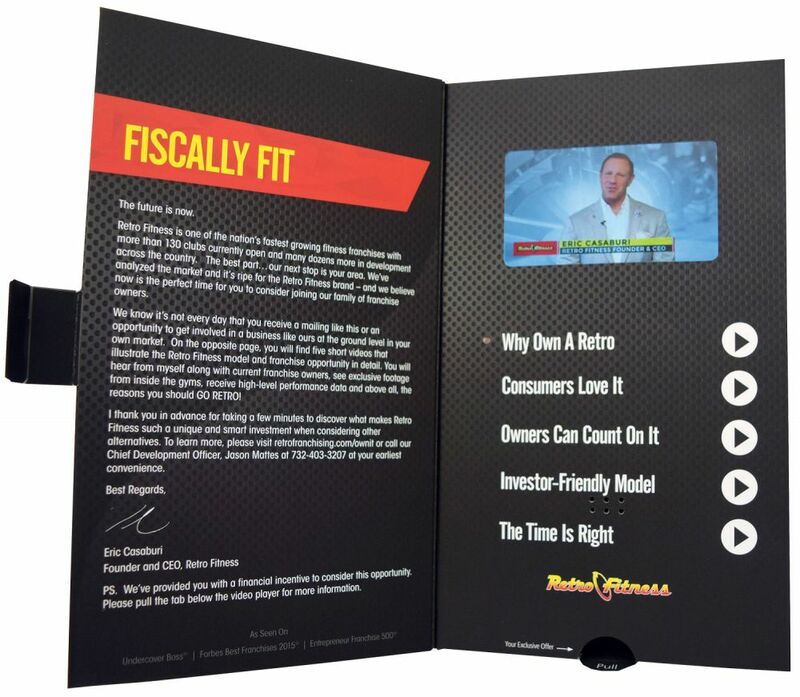 Americhip worked with the Retro Fitness team to design and produce a video sales kit that utilized Americhip’s patented Video in Print Technology and world-class paper engineering. 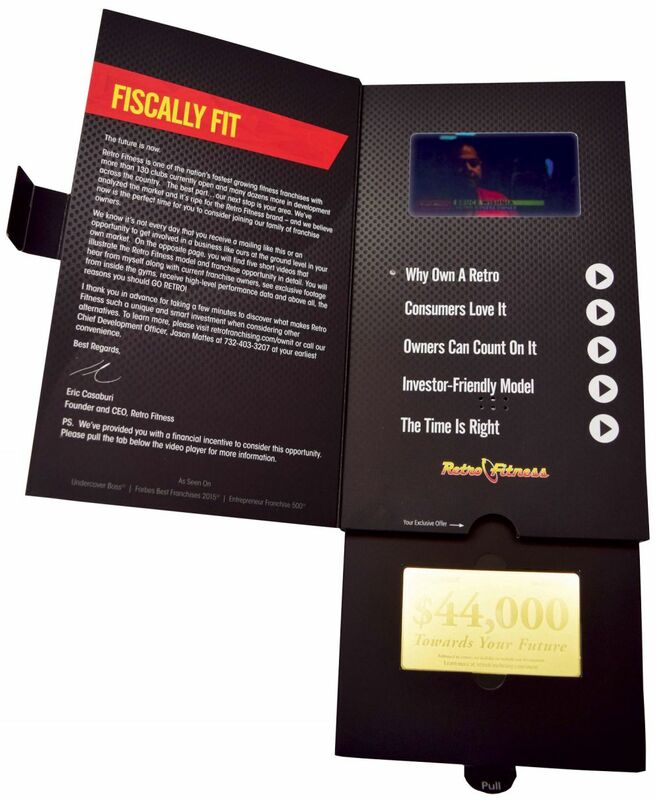 The sales kit included a video brochure with Americhip’s proprietary 4.3” LCD Screen with 5 chapters of content including an introduction to the company by Retro Fitness CEO, Eric Casaburi. The kit also included a pull-out tab that revealed an exclusive offer in the form of a heavy gold-plated card good for $44,000 towards the development of a new franchise. 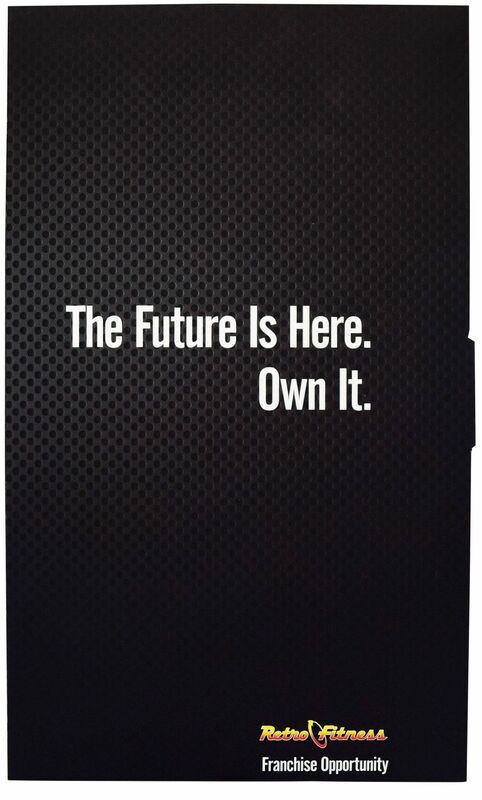 The kit had a printed message from the CEO as well as a QR scan on the back cover as a secondary call to action. The kit was sent in a custom shipper made of the same black soft-touch paper as the video brochure. Retro Fitness is sure to impress potential investors with their new sales kit and is eager to see the great results that hundreds of other brands have experienced with Video in Print technology.